Nicolas Krauze has accomplished most of his musical studies in the United States, France and Russia. Studying first as a violinist, then conducting, he has studied mostly at the Moscow Tchaikovsky Conservatory and the Moscow Gnessin Institute. Among others, his conducting professors and advisers have been Gennady Cherkassov, Nicolas Brochot, Zsolt Nagy and Christoph Eschenbach. 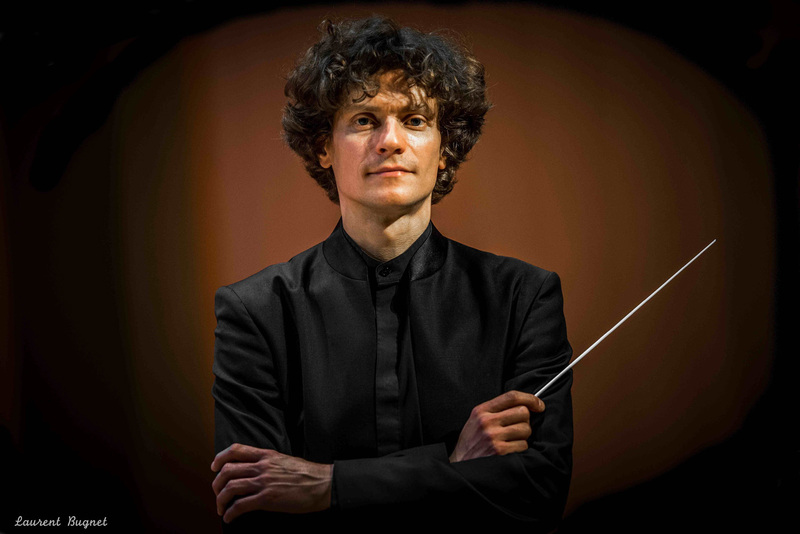 Nicolas Krauze has been recently invited to conduct the Orchestre Philharmonique de Monte-Carlo (France), the Orchestre et Opéra National de Montpellier Languedoc-Roussillon (France), the Orchestre et Opéra Avignon-Provence (France), the Orchestre National d’Île de France (France), the Orchestre National de Lorraine (France), the Lamoureux Symphonic Orchestra (France), the Paris Symphonic Orchestra (France), the Orchestre de Chambre de Versailles (France), the Wiener Concert-Verein(Austria), the Arena di Verona Symphony Orchestra (Italy), the Lecce Symphony Orchestra (Italy), the Bari Symphony Orchestra (Italy), the Orchestra Sinfonica Siciliana (Palermo, Italy), the Athens State Symphony Orchestra (Greece) the Györ Symphony Orchestra (Hungary), the Almaty Symphony Orchestra (Kazakhstan), the National State Orchestra of Kazakhstan, the Guayaquil, Loja & Cuenca National Orchestras (Ecuador), the Szczecin Symphony Orchestra (Poland), the Lomza Chamber Philharmony (Poland), the Kielce Symphony Orchestra (Poland), the Bialystok Symphony Orchestra (Poland), the Lublin Symphony Orchestra (Poland), the Wroclaw Chamber Philharmony (Poland), the Bucharest Symphony Orchestra (Romania), the Sibiu Symphony orchestra (Romania), the Olomouc Symphony Orchestra (Czech Republic), the Kiev National Chamber Orchestra (Ukraine) and the Lviv State Philharmonic (Ukraine). 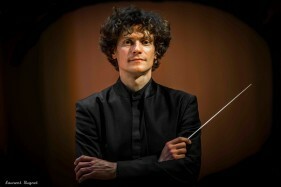 He has also conducted over 400 concerts with the Nouvelle Europe chamber orchestra ( www.orchestre-nouvelle-europe.com ) based in Paris, France, and for which he is principal conductor and artistic director. He’s been unanimously appointed by the board and the musicians as Principal Guest Conductor of the Almaty Symphony Orchestra of Kazakhstan for the 2013-2014-2015 seasons. From September 2018 he will be appointed permanent guest conductor at the Kiev National State Philharmony, first foreigner ever at this position. He’s recently conducted soloists such as François-René Duchâble, Lise de la Salle, Sergeï Nakariakov, Vadym Kholodenko, Alena Baeva, Henri Demarquette, Tatjana Vassiljeva, Nemanja Radulovic, Gérard Caussé, Alexandra Soumm, Plamena Mangova, Aylen Pritchin, Svetlin Roussev, David Grimal, Nicolas Dautricourt, Jean-François Zygel, Sandor Javorkaï, Yan Levionnois, Dimitri Maslennikov, Rachel Kolly d’Alba, Maja Bogdanovic, Romain Leleu, Marc Laforet, François Dumont, Krzysztof Jakowicz, Bruno Fontaine, Marat Bisengaliev, Alexandre Kantorow, Julian Trevelyan and Denis Kozhukhin. In the lyric field, he has conducted around Europe various productions (among others Gounod’s Faust, Verdi’s Aïda, Donizetti’s L’Elisir d’Amore and Don Pasquale,Mascagni’s Cavalleria Rusticana, Mozart’s Marriage of Figaro, Oscar Strauss’s Three Waltz, Lehar’s Merry Widow and Offenbach’s Vie Parisienne) for a total of over 100 representations. During the 2018/2019 season, he will conduct about 60 concerts worldwide, including invitations with major orchestras in France, Poland, Italy, Ukraine, Kazakhstan, Russia, and will conduct two international symphonic tours in China and South Korea.